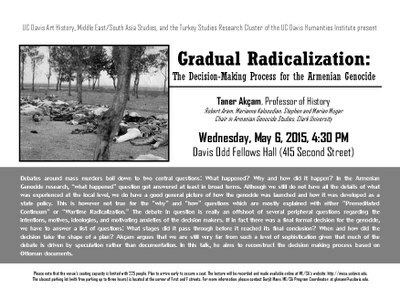 DUE TO HEALTH CONCERNS, PROFESSOR AKCAM WILL NOT BE ABLE TO GIVE HIS LECTURE ON WEDNESDAY 5/6. WE SINCERELY APOLOGIZE FOR THE ALL INCONVENIENCE! CLICK HERE TO VIEW FLYER AS PDF!